Look! It’s our signature Haitian bead, but super sized! 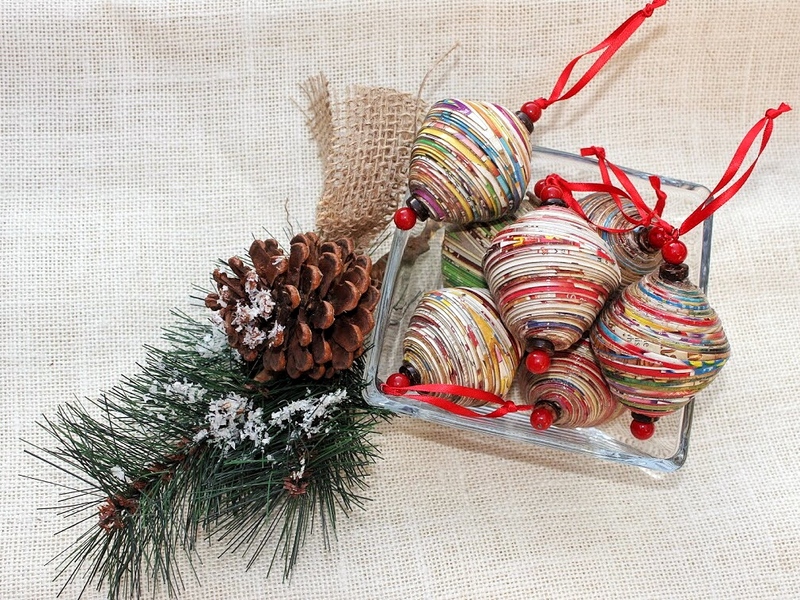 Paint your tree with a brush of boho. 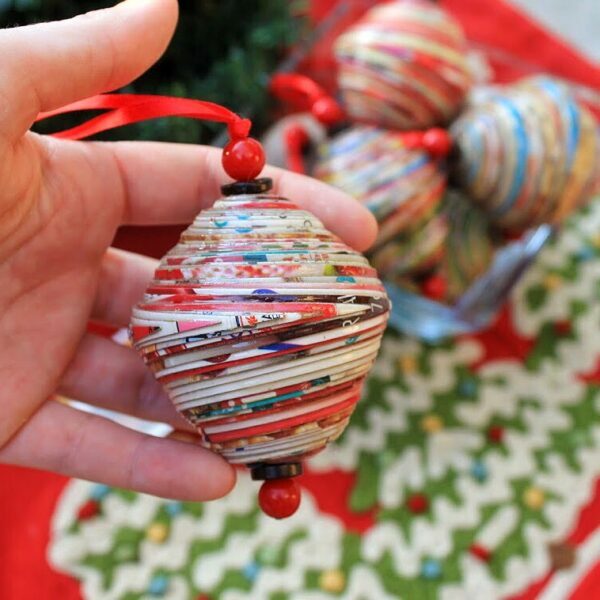 Each is multicolored and made from up-cycled cereal boxes. They are trimmed in brown coconut shell beads with round red tips. Comes with a red satin ribbon. Approximately 3.5 inches tall by 2.5 wide. 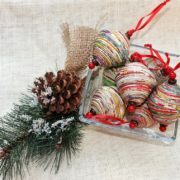 You can nestle them on wreaths, string in garland or tie on a package. Oh, and don’t forget the ornament exchange!